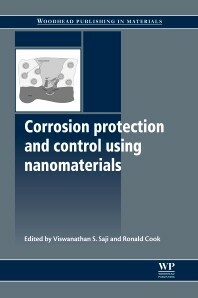 ‘Smart’ corrosion protection based on ‘self-healing’ effect, nanostructured protective coatings, mechanisms of corrosion inhibition. Development of anticorrosion coatings for aeronautical, automotive and maritime industries. Development of nanocontainers for controlled release of active substances (corrosion inhibitors, biocides, sensing species). Prof. Mario Ferreira is leader of the Surface Engineering and Corrosion Protection group. SECOP holds an extensive experience in the field of anti-corrosion coatings for metal alloys. The group is currently working on complementary areas, including the development of micro and nanorecipients for encapsulation of corrosion inhibitors, to provide a controlled and prolonged release of the inhibiting species for self-healing coatings and the investigation of corrosion inhibition and self-repairing processes at micro-/nano-level by localized electrochemical techniques. Supervision of Research grant holders, MSc and PhD students. Participation in more than 20 national and international projects as coordinator and team member. 1) Coordinator of MarTera project SMARTAQUA-Development of SMART nanostructured layers for sensing corrosion in AQUAtic structures project ref. MARTERA/0004/2017 (March 2018-February 2021). 2) Coordinator of EU project SMARCOAT-Development of Smart Nano and Microcapsulated Sensing Coatings for improving of Material Durability/Performance (ref.645662), H2020-MSCA-RISE-2014 (January 2015-December 2018). 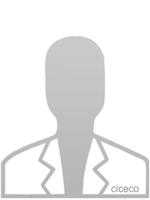 3) Coordinator of national FCT project Controlling the degradation of MAGnesium alloys for biomedical applications using Innovative smart COATings, May 2016-April 2019 (ref. PTDC/CTM-BIO/2170/2014). 4) Coordinator of QREN project FUNACOP - NANOMATERIAIS PARA APLICAÇÃO EM REVESTIMENTOS FUNCIONAIS, Universidade de Aveiro-CICECO e Smallmatek Lda. (SI I&DT - Projectos em Co-Promoção nº 38777)-CLOSED. 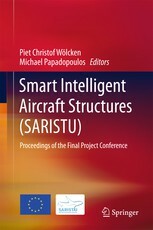 5) Project leader of FCT project: "Filmes de conversão nanoestruturados multifuncionais baseados em hidróxidos duplos lamelares para protecção contra corrosão de estruturas para aplicação aeronáutica" July 2013-present (ref. PTDC/CTM-MAT/1515/2012)-CLOSED. 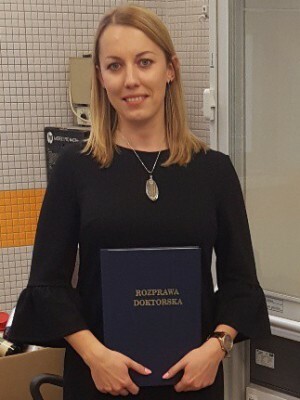 6) UA's PI in project NANOBARRIER-Extended shelf-life biopolymers for sustainable and multifunctional food packaging solutions (NMP-2011.1.1-1 Smart and multifunctional packaging concepts using nanotechnology), March 2012-February 2016 (PI since March 2014)-CLOSED. More than 60 publications in peer-reviewed journals (h-index 22) with over than 1500 citations, 4 book chapters. Tiago LP Galvão, Isabel Sousa, Manon Wilhelm, Jorge Carneiro, Jakub Opršal, Helena Kukačková, Vladimír Špaček, Frederico Maia, José RB Gomes, João Tedim, Mário GS Ferreira, Improving the functionality and performance of AA2024 corrosion sensing coatings with nanocontainers, Chem. Eng. J., 2018, 341, 526-538. T.L.P. Galvão, C.S. Neves, M.L. Zheludkevich, J.R.B. Gomes, J. Tedim, M.G.S. 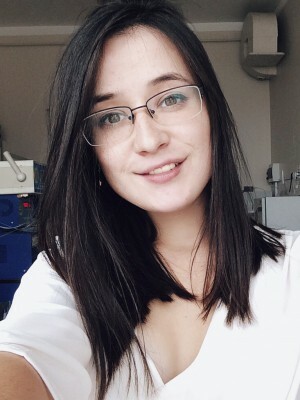 Ferreira, How DFT surface energies may explain the morphology of particles, nanosheets and conversion ilms based on layered double hydroxides, J. Phys. Chem C, 2017, 2211-2220. J. Tedim, A.C. Bastos, S. Kallip, M.L. Zheludkevich, M.G. Ferreira, Corrosion protection of AA2024-T3 by LDH conversion films. Analysis of SVET results, Electrochim. Acta, 2016, 210, 215-224. 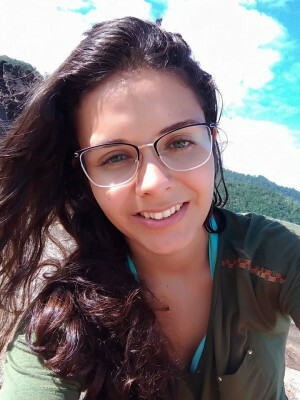 J. Carneiro, A.F. Caetano, A. Kuznetsova, F. Maia, A.N. Salak, J. Tedim, N. Scharnagl, M.L. Zheludkevich, M.G.S. Ferreira, Polyelectrolyte-modified Layered double hydroxide nanocontainers as vehicles for combined inhibitors, RSC Advances, 2015, 5, 39916-39929. F. Maia, A.P. Silva, S. Fernandes, A. Cunha, A. Almeida, J. Tedim, M.L. Zheludkevich, M.G.S. 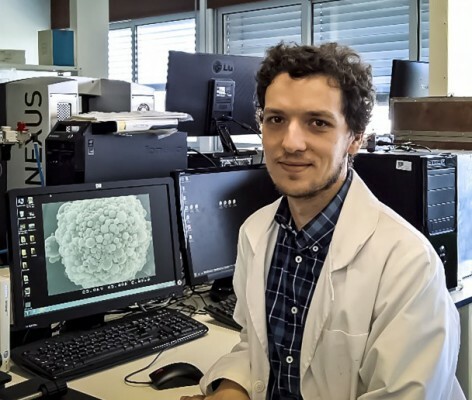 Ferreira, Incorporation of biocides in nanocapsules for protective coatings used in maritime applications, Chem. Eng. J., 2015, 270, 150-157. F. Maia, J. Tedim, A.C. Bastos, M.G.S. Ferreira, M.L. Zheludkevich, Nanocontainer-based corrosion sensing coating, Nanotechnology, 2013, 24 415502-(9pgs). M.L. Zheludkevich, J. Tedim, C.S.R. Freire, S.C.M. Fernandes, S. Kallip, A. Lisenkov, A. Gandini, M.G.S. Ferreira, Self-healing protective coatings with “green” chitosan based pre-layer reservoir of corrosion inhibitor, J. Mater. Chem., 2011, 21, 4805-4812. J. Tedim, S.K. 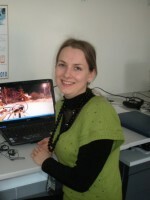 Poznyak, A. Kuznetsova, D. Raps, T. Hack, M.L. Zheludkevich, M.G.S. Ferreira, Enhancement of active corrosion protection via combination of inhibitor-loaded nanocontainers, ACS Appl. Mater. Interfaces, 2010, 2, 1528–1535. M.G.S. Ferreira, J. Tedim, M. Zheludkevich Universidade de Aveiro, Conversion Films Based on Lamellar Double-Hydroxides For Active Protection Against Corrosion, application number PT20110105853 20110811. M.G.S. 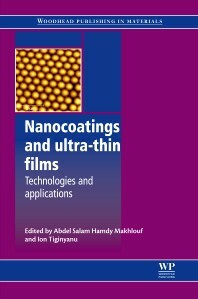 Ferreira, M. Zheludkevich, J. Tedim, V. Gandubert, T. Schmidt-Hansberg, T. Hack, S. Nixon, D. Raps, D. Becker, S. Schröder, Process For Coating Metallic Surfaces With Coating Compositions Containing Particles of a Layered Double Hydroxide, Universidade de Aveiro, Chemetall GmbH, EADS Deutschland GmbH and Mankiewicz Gebr. & Co. GmbH & Co. KG, application number MX20140012409 20130417. J. Tedim, K. Yasakau, M. Marques, L. Monteiro, M. Zheludkevich, Corrosion Protection By A Coating With a Hybrid Siloxane-based Sol-Gel Composition, Bosch Gmbh, application number CN2013842782 20130531. T.K. Rout, A. Gaikwad, T. Dingemans, M. Zheludkevich, J. Tedim, K. Yasakau, Anti-corrosion System For Steel, TATA Steel, application number EP20120809115 20121210. S. Senani, S. Barut, J. Tedim, F. Maia, M.G.S. Ferreira, M. Zheludkevich, Revêtement De Contrôle De L’intégrité Interne D’une Structure Véhicule Le Comportant, application number PCT: 15307037.0. 1) Carl Wagner Medal Award (2017) for Excellence in research in applied electrochemistry and electrochemical engineering highlighted by the European Federation of Chemical Engineering (EFCE). 2) ISE (International Society of Electrochemistry) Travel Awards for participation in annual ISE meeting (2014). 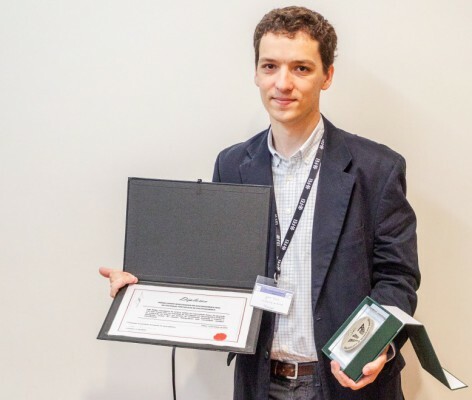 3) Young Researcher Prize (2013) prize awarded by the Portuguese Electrochemical Society. 4) Empreendedorismo Inovador Jovem (2010), attributed by UATEC/University of Aveiro to the project for development of nanotechnological solutions for corrosion protection. 5) Eng. António de Almeida Prize (2004), attributed to students whose final grades are better than 16/20 (80%), Faculty of Sciences, University of Porto. 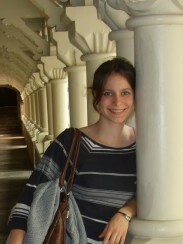 6) Teresa Fonseca Prize (2004), for the student with the best final grades in Chemistry, Department of Chemistry, Faculty of Sciences, University of Porto. 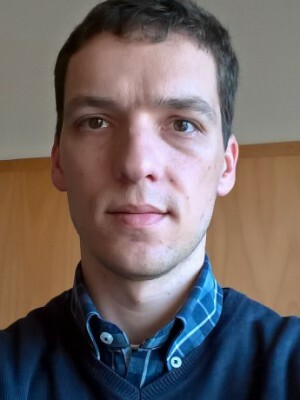 7) Dr. Mendonça Monteiro Prize (2003), for the best student in Physical Chemistry, Department of Chemistry, Faculty of Sciences, University of Porto. Excelência na investigação em Engenharia Eletroquímica destacada pela Federação Europeia de Engenharia Química. O Prémio, atribuído pela Sociedade Portuguesa de Eletroquímica, destaca a atividade de investigação científica em Eletroquímica. 2017, MARINE BIOTECHNOLOGY, 19, 2, 164-174. 2015, 725-733. Cham: Springer International Publishing.